The title of this talk should probably read Virtual CentOS Server With Host-Only NIC & WAN Access On Win 7 64-bit, but who’s gonna Google that, right?!? Virtual CentOS 6.5 64-bit guest. WAN access for the CentOS server. Host-only access to the guest (via SSH). 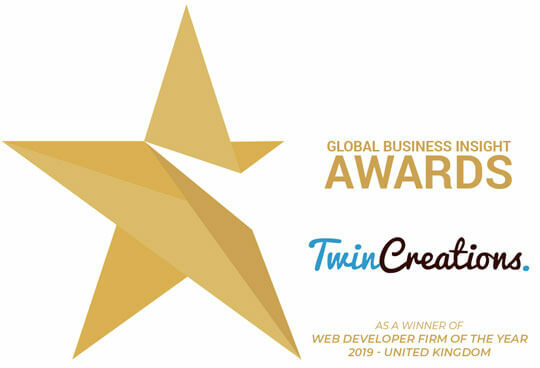 This setup will allow for all of the above, as well as provide traditional connectivity from the host that web developers are familiar with (SSH, FTP, SFTP, MySQL and so on). We can also use a nice deployment method such as Git once it’s all up and running. For starters, we need to setup VirtualBox correctly. I won’t cover the basic stuff here such as hardware setup – I’m going to assume you already know how to do that side of things. For transparency’s sake, I will tell you that I’m using CentOS’ minimal install 64-bit ISO image at version 6.5. The settings we are interested in for the scope of this talk revolve around networking, and we need to tinker with the VirtualBox Preferences (File > Preferences). Select Network and click on the Host-only Networks tab. 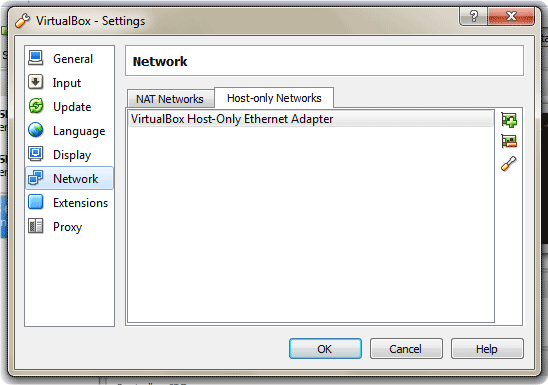 In version 4.3.6 of VirtualBox, only one named adapter is listed; VirtualBox Host-Only Ethernet Adapter. Right-click that and choose Edit host-only network. The adapter settings can be left as-is. 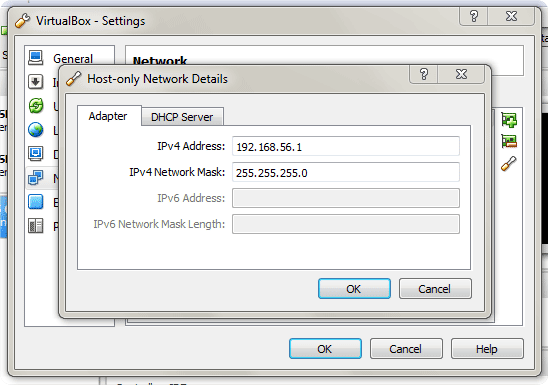 The IPv4 address is set to 192.168.56.1 and IPv4 Network Mask is at 255.255.255.0. 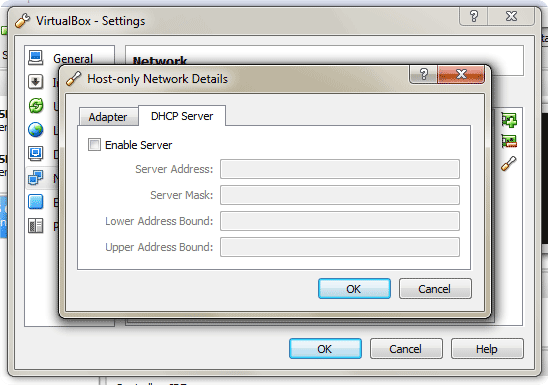 Click on the DHCP Server tab and clear the tick next to Enable Server. Click OK twice to confirm the change. The reason we are doing this is because we will assign a static IP address to the host-only adapter from CentOS and we don’t want DHCP interfering with our settings. Next, highlight your virtual machine and choose Settings. We are going to add 2 network adapters, each of which will provide a level of connectivity for our setup. 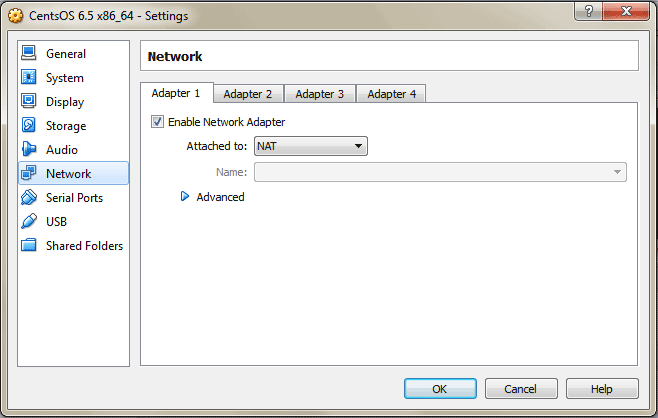 First, we enable Adapter 1 and set it to NAT. This adapter will provide the WAN access we need to get to the internet from the guest machine. Next, we need to enable a second adapter and set it to Host-only Adapter. This will give us the local connectivity we want so that this server resides in our own private (local) network. Adapters 3 and 4 we do not enable. VirtualBox is now configured and we are ready to move on and configure the guest. Fire it up. In the selinux config file, you want to set SELINUX to disabled. Save that and exit the file editor. Hammertime, na na na na. Now that we are without a firewall and the bothersome antics of selinux, we can get to work. We need to check which network adapters have been assigned in CentOS. We do that by running ifconfig. You should get a list of adapters, including eth0, eth1 and probably lo. Those addresses are mapped to the network adapters we selected from VirtualBox. Adapter 1 is mapped to eth0, Adapter 2 is mapped to eth1 and lo is the machine’s localhost loopback. Your own adapter’s may vary. For example, you may find eth0 and eth3. Don’t worry about the number too much; just substitute your own for the remainder of this tutorial. 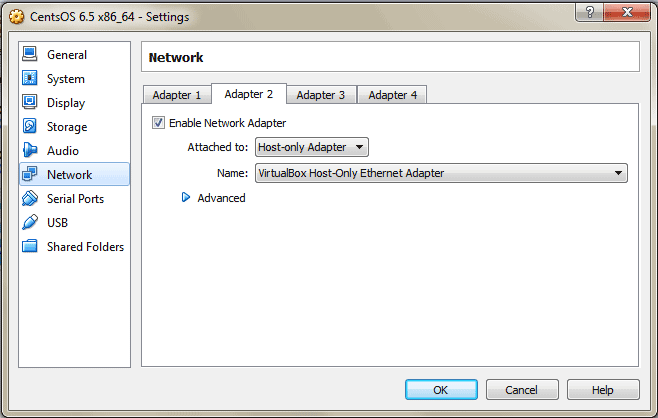 Remember that the adapters will appear in the same order as they are selected in you VirtualBox settings (Adapter 1 => eth0, Adapter 2 => eth3 and so on). Now, we want to leave eth0 alone (since it’s automatically been configured to connect to the internet) apart from a single setting; ONBOOT. Set the ONBOOT parameter to yes. Notice we are setting a static IP address of 192.168.56.10. This address will be available on a private network, along with our host machine. If all is well, you will be offered some packages for update and you are ready to go. Your machine is available from the host machine at the IP address 192.168.56.10. We can test that by running ping 192.168.56.10 from a command prompt on the host. To make life a little easier for you, add an entry to the host file and use a domain name.